Join us Friday, October 2, at 12 Noon for a presentation by Dr. Carol Geary Schneider, President of the Association of American Colleges and Universities (AAC&U). The event will be held at Greenfield Community College in the Nahman-Watson Library Solarium. This event is free and open to the public. President Schneider has been instrumental in the Liberal Education and America’s Promise (LEAP) campaign, as well as the American Commitments: Diversity, Democracy, and Liberal Learning initiatives. 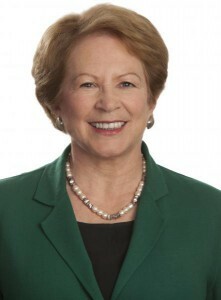 Her leadership of the AAC&U has helped the organization become a voice for the importance for strengthening the quality of student learning in college for all students, especially those historically underserved in U.S. higher education, and to expand the benefits of a liberal education across the entire curriculum. The AAC&U is the leading national organization devoted to advancing and strengthening undergraduate liberal education and has more than 1,300 member institutions, half public and half private, with members drawn from the entire higher education community, large, small, two-year, four-year, selective and open admissions. For further information, contact Leo Hwang, 413-775-1221 or hwangl@gcc.mass.edu.